Clean Environment Commission (CEC) Hearings for the Bipole III Project are currently recessed, scheduled to resume March 4, 2013 in Winnipeg. Hearings were adjourned November 22, 2012, to allow time to review Manitoba Hydro's January 2013 supplemental environmental statement for three route changes arising from reviews and proceedings. 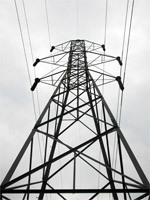 After hearings adjourned late November, the CEC sent a December 3, 2012 letter to Manitoba Hydro with new information requests relating to the feasibility of connecting Bipole III to the existing Dorsey Converter Station and/or connecting Bipole I or II to the Riel Converter Station presently under construction. The Bipole III Coalition, a grass-roots organization of Manitoba citizens concerned about the routing of Bipole III, filed a notice of motion with the CEC on January 11, 2013. Participants be allowed to cross-examine Manitoba Hydro witnesses on issues relating to Bipole III Route changes and construction methods. The Coalition be allowed to pursue and complete its cross-examination of Manitoba Hydro witnesses relating to the possible use of underground cable for part of the Bipole III Route which traverses agricultural land. Participants be allowed to cross-examine Manitoba Hydro witnesses on their Responses to Information Requests asked by the CEC December 3, 2012.
the possibility of the use of underground cable for part of the Bipole III Route traversing prime agricultural land. The CEC had not responded to the Bipole III Coalition's January 11, 2013 Notice of Motion, or scheduled a date for the forthcoming motions hearing as of January 17, 2013.